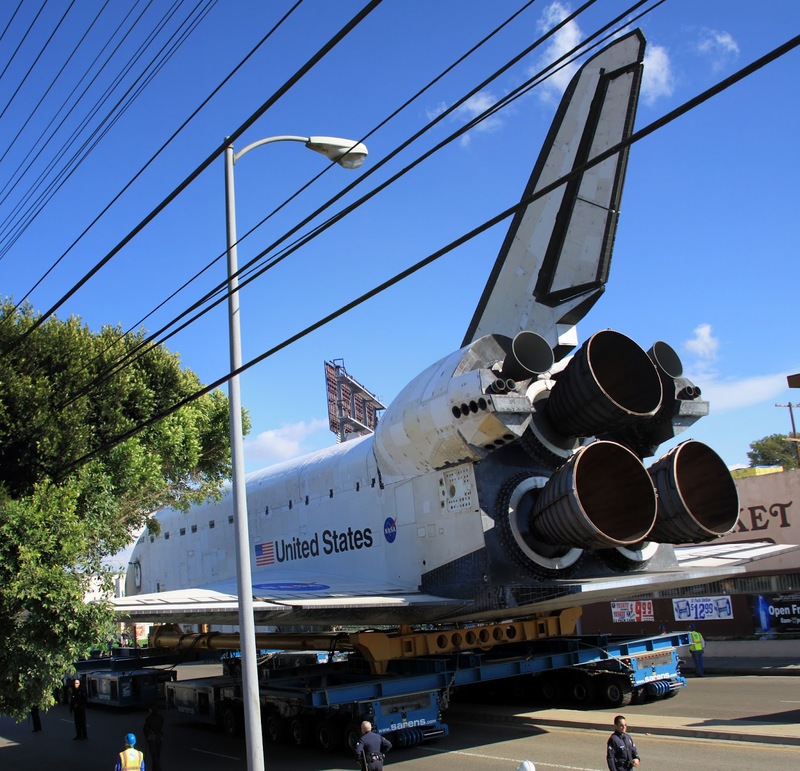 The shuttle was parked right across the street from my Dad's office. We snuck out the front door behind the police tape to get a better view. As soon as the sun was up Steve wanted to head down to see the shuttle. I don't think that at 6:30 in the morning Hailey and Evan wanted to wake up to see it. Steve, on the other hand, was thrilled. It really was an impressive sight to see up close. There was already a huge crowd down there when we showed up. We spent over an hour walking around the shuttle so Steve could take pictures from every available angle. I think Hailey thought this puppy was much cooler than the shuttle. I love how I rolled out of bed, didn't bother to put a normal shirt on, or even brush my hair and we run into tons of people we know, like Judy and Steve. It's a once in a lifetime opportunity; I'm glad we saw it. 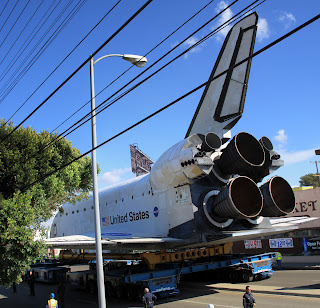 Steve climbed on top of our garage to get a good view while the shuttle passed by the street behind our home. The sidewalks and streets were all closed off from the public except for the police and FBI which were in abundant supply. Lucky for us we didn't even have to leave home to see it. Now it is on its way to its new home at the California Science Center.